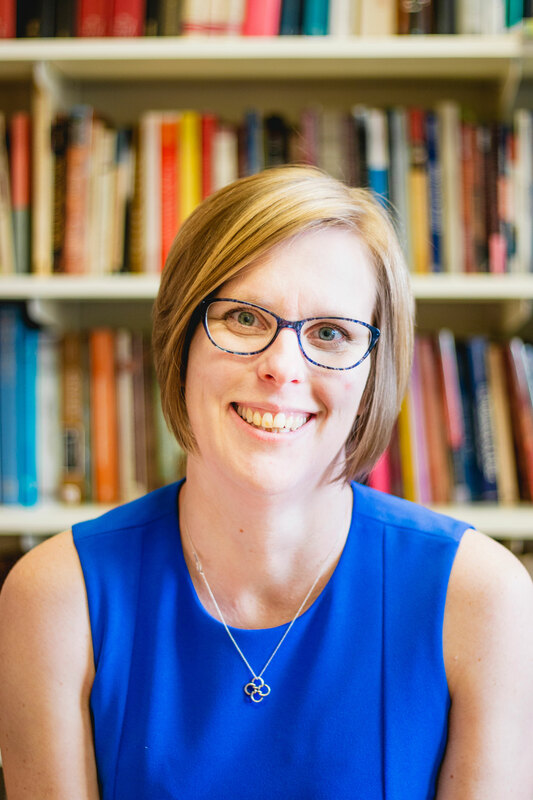 Katherine A. Shaner, assistant professor of New Testament, has been named a Church Management Research Fellow through Villanova University’s Center for Church Management. The fellowship, which seeks to build a new generation of scholars researching all aspects of church finance, including educational finance, is made possible by a grant awarded to the center from Lilly Endowment Inc.’s National Initiative to Address Economic Challenges Facing Pastoral Leaders. Shaner’s project, “Romans 4, Works-Righteousness, and the Problem of Clergy Debt,” investigates the theological assumptions that drive financial literacy conversations among seminary students and early career clergy. Over the course of this academic year, Shaner has been working with senior research advisors to assess the theological assumptions that govern studies of student debt. She has found that moral judgements of student debt often follow career choices. Students who take on significant debt for theological education, yet aim to serve under-resourced communities are often blamed for taking on bad debt in such reports. At the same time students who moderate their debt, serve wealthier communities, or practice austerity for the sake of wealth management are praised for using debt wisely. Building on ideas of sufficiency (Carruthers and Toure) rather than wealth-building, Shaner’s research explores new theological frameworks for understanding student debt within theological education. Last summer Shaner met with other fellows to present her original proposal and receive feedback. Later this year she will return to Villanova to present her final research and receive additional feedback before submitting her project for publication. Shaner’s project will also have significant impacts on the School of Divinity’s Financial Well-Being for Pastoral Leaders program, funded by the same national initiative through Lilly Endowment, Inc. This program was established as part of the school’s commitment to educating ministers who engage finances responsibility. Financial competency training and engagement has been added to several curricular courses and programs so that Master of Divinity students engage the theological, ethical, and spiritual aspects of money. Throughout her teaching and scholarship Shaner examines the intersections of race, class, and gender as well as the ethics of contemporary biblical interpretation. Her book, Enslaved Leadership in Early Christianity (Oxford University Press, 2018), challenges readers to re-think common perceptions about how enslaved persons participated in early Christian communities. She is an ordained pastor in the Evangelical Lutheran Church in America (ELCA).